The Zombies Made Me Do It! 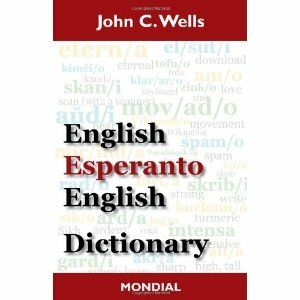 A few months back, John Wells came out with his newly updated English-Esperanto-English dictionary. Being as I have 3 of his previous effort walking around the house, and I’m notoriously short of cash, I put off buying a copy of the new one, figuring I could look up any problem words via the internet as needed. Well, with this project of translating the dialog of Attack of the Moon Zombies, I decided it would save me a lot of time if I had a more modern dictionary. I ordered mine from the book service of our national Esperanto organization, Esperanto-USA. I discovered that I still had a $10 credit I had earned by successfully solving a crossword puzzle in the bulletin. Hurray! So Yesterday I received my dictionary. Upon first perusal, I was very pleased. It reads just like his previous work, but with a lot more modern entries. D-ro Wells has done a superb job in my humble opinion updating his already superb dictionary. It’s also a slightly larger format and is thicker. It feels like a richer dictionary. I can only wonder if he might come out with a version in smaller print to return the dictionary to ‘pocket size’ status. In any case it remains supremely useful. One feature I particularly like is that on the Esperanto-English side, he will list an Esperanto word which has questionable parentage, but will mark it with a frownie face. He will then point you to a better choice for that word, and then give the English equivalent. If I found any fault at all in this new dictionary, it’s that it lacks the word ‘fango’ which means mud or slime. Fango appears in a song by the music group Kajto and it took me a devil of a time to figure out what it meant. I finally discovered it by comparing it to Italian. As far as Zombies goes, the team of which I am a part is approaching the half way point in our initial translation. Following that, we’ll be looking over each other’s work to check for problems. Let us hope edit wars do not ensue. We recently visited Williamsburg Virginia. On our way there I encountered what can only be described as an LBP a a rest stop in Delaware. The sink had one of those faucets and soap dispensers which activated by motion. Trouble was that the soap dispenser was badly positioned. As I rinsed my hands, it would activate and the soap kept squirting into the sink. Kind of wasteful. I’m no longer alone on the translation project. 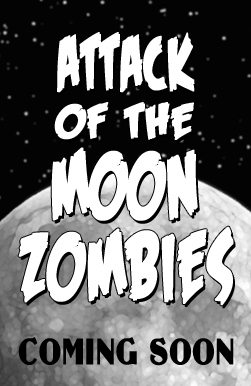 I’ve joined a small team who are working on the translation of the dialog of the coming Mihm Movie Attack of the Moon Zombies. This will make my work load a lot lighter as I should only need to translate a quarter of the script into Esperanto. For me this is an enjoyable exercise. In the evenings, I sit in my chair with a notebook, the printed script and all my dictionaries. It’s on the scale of a crossword puzzle for me, trying to decipher how to express English idioms in Esperanto while trying to preserve the ‘joke’ ness of it. This project has also decided me to order the newer version of my favorite dictionary. I’m hoping this will help me avoid having to consult my big green Benson as often. I find working off the computer this way somewhat relaxing. The person in charge of this project sent me a spreadsheet with the 1st 50 lines to be translated. I’m way past that point, so I just filled them in from my notebook. I caught a few errors while doing this. Now I’ve printed out my translation from the spreadsheet and am reading through it to double check for typos and outright errors. Hopefully the sound dub will make it into the film and hopefully Mr. Mihm will to find able speakers of the language for the dub. I don’t know how many Esperanto speakers there are in Minnesota. The Esperanto League for North America shows 10 members in that state, but there may be more ‘stealth’ Esperantists there. Today I sold a gold wedding ring which I found along the local railroad tracks about 20 years ago. It went for $56.00. Decided to use that to buy 2 rolls of dollar coins. Since I was headed to a bigger town than I live in, I thought I’d try the bigger bank instead of my branch. Ho boy, what a hassle. The teller gave me a sort of deer in the headlight look when I asked for them. I didn’t even specify which pres I wanted. She asked another teller, then had to fill out a form IN TRIPLICATE in order to get them out of the vault. Ended up with two rolls of Zachary Taylor. So on the way home, I stopped at a Quik Chek for a Gatorade. I handed the cashier three shiny brass bucks and she sort of gave me a ‘look’, then gave me the change. I got the impression she wanted to throw it at me. Further along, about 1/2 way home, I thought I’d continue spreading the good word and stopped at another Quick Chek for a Milky Way. The lad behind the counter sort of looked at the brass buck, and gave me my change. You are currently browsing the A Koplushian's Blog blog archives for August, 2010.